The first bitcoin smart contracts sidechain just reached an early milestone. To be revealed Monday at CoinDesk’s Consensus 2018 conference, RSK, the startup that built the long-anticipated technology, touted as a way to bring ethereum-style smart contracts to the world’s largest cryptocurrency, is issuing new details on the number of bitcoin users dedicating computing power to backing the experimental idea. First launched this past January, the sidechain pegged to bitcoin was admittedly limited in that it’s not pegged to bitcoin in a “trustless” way advocates have promised for so long. Rather, anyone who wants to move their bitcoin to the sidechain needs the approval of a ‘federation’ group of third parties. Still, the miner support, RSK Labs co-founder Gabriel Kurman contends, is rather impactful as it shows support for a concept heralded as a way to expand bitcoin’s functionality. And, although there’s a small fraction of the entire network currently securing the sidechain, about 80 percent of miners have already committed support in the future. “The hash power percentage is set to increase significantly over the next months,” Kurman added. It makes sense, after all, because the sidechain is designed to be “merged-mined” – a process which allows miners to get transaction fees by contributing their hash power to the sidechain, all while using the same equipment, electricity and power they’re already using to mine bitcoin. “RSK has massive support from the mining ecosystem because it adds a new revenue stream for them,” Kurman said. Not only that, but RSK has developed the sidechain to be able to handle more transactions than bitcoin can currently. The RSK sidechain uses what the company calls “smart bitcoins,” a separate version of bitcoin with the smart contract capability, and that allows for improved scalability. “On RSK you can process smart bitcoins at 100 transactions per second,” Kurman said, pointing to the “compression” technology RSK pioneered that decreases the total amount of data that must be stored on the blockchain. Even with that improvement, though, Kurman is quick to note that that’s not nearly enough to bring this technology to the masses, acknowledging that the sidechain still deals with the scalability issues faced by many of today’s blockchains. But the team is working towards that. 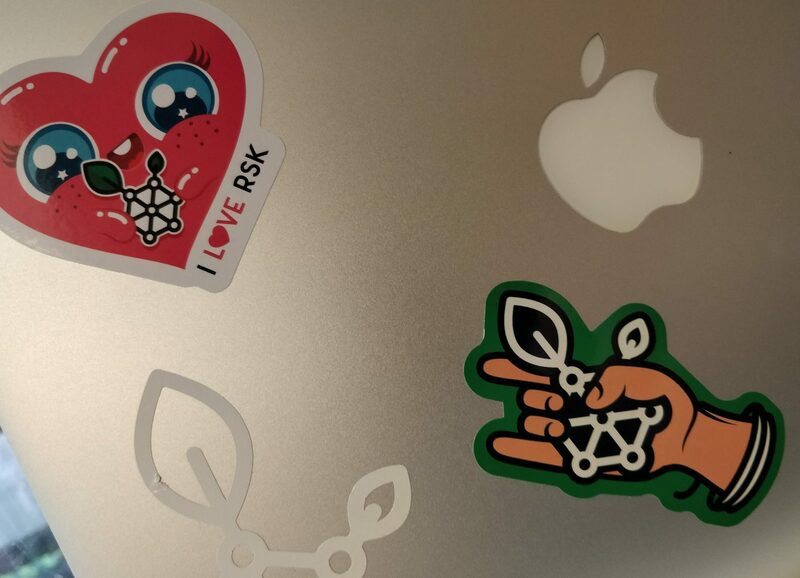 Taking inspiration from developers working on both bitcoin and ethereum, who have been developing technologies called the lightning network and Raiden network, respectively, RSK has been building a similar technology. Called “Lumino,” the project is what Kurman describes as a “combination” of these two networks so that it can work with RSK’s unique sidechains technology. The last announcement from RSK today is that two companies are now joining the “RSK family,” Kurman said. The first is the Inter-American Development Bank, with an Argentinian bitcoin NGO, seeks to promote financial inclusion in Buenos Aires. The NGO has been working to use RSK for the past two years, although Kurman did not elaborate on how exactly the business plans to use the network. The second company building on top of RSK is the BitGive Foundation, a long-standing bitcoin-focused charity organization that’s been used to funnel bitcoin donations to Nepalese citizens affected by a devastating earthquake in 2015, among other initiatives. He added that these new partners display that more and more businesses are starting to see the benefits of bitcoin (and beyond), and as such, are adopting the technology. RSK will be demoing all this functionality at their booth at CoinDesk’s Consensus 2018 conference in New York City this week.